We previously heard that Samsung is working on a new version of their Galaxy Note smartphone, the device is rumored to come with a 5.5 inch touchscreen display and will be called the Galaxy Note 2. 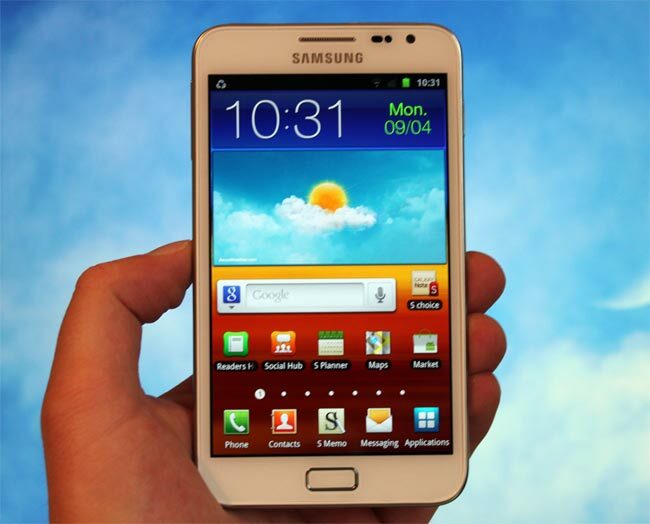 According to a recent report from Korean publication MK Business News, the Samsung Galaxy Note 2, will come with an unbreakable display, which is apparently something that Samsung has been working on along with their flexible displays. The device is rumored to be launch in October of this year, and may feature similar components inside to that of Samsung’s Galaxy S III smartphone, the handset is also rumored to to feature a slimmer design that the existing model. We have no idea whether the Samsung Galaxy Note to will feature an unbreakable display, if it does then we suspect there will be quite a few of those drop test videos on YouTube when the device is released.